Broadmoor Bluffs is a community south of The Broadmoor. It is bordered by Star Ranch Road to the North, Farthing Drive and Neal Ranch Road to the West, Broadmoor Bluffs Drive to the South, and Highway 115 to the East. There are two neighborhood parks in the Broadmoor Bluffs community. They are Oak Meadow Park and Broadmoor Bluffs Park. 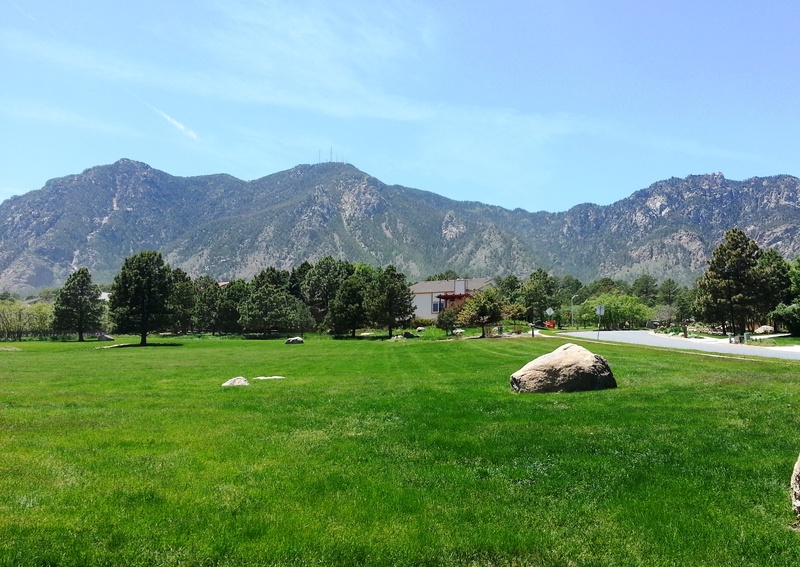 Cheyenne Mountain Elementary School is also located within the Broadmoor Bluffs Community. Near the Broadmoor Bluffs Community, just to the North is the Country Club of Colorado.